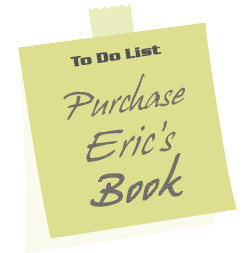 Eric Bishop | The Official Website of Eric Bishop, Author. The Marbury Lens, Ghost Medicine, Winger, and Stick. 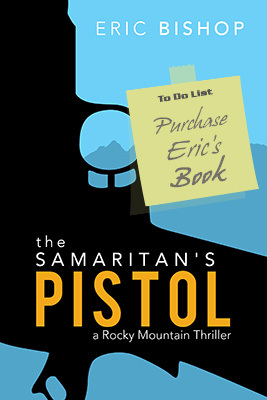 “The Samaritan’s Pistol is a taut thriller, melding Mormons and the Mafia in an action-packed tale … Bishop’s debut novel will keep the reader guessing to the end.”— Michael Zimmer, recipient of the Spur Award from the Western Writers of America, author of City of Rocks. “An engaging blend of character study, intrigue, and violent action, Bishop’s novel is a well-told page turner…”— Rod Miller, multiple Spur Award winner, Western Writers of America’s membership chair, and author of Go West and Cold As The Clay. Eric Bishop may look like a cowboy, but he’s not stuck in the past—neither is his writing. In his debut novel, The Samaritan’s Pistol, Eric explores the choices of a modern-day cowboy grappling to balance sympathy with protecting himself and those closest to him. This gritty, yet heartfelt adventure will be the first of many Rocky Mountain Thrillers with multi-genre appeal crafted by Bishop. When faced with a perilous choice, Desert Storm veteran Jim Cooper makes this decision without hesitation—but not without consequence. His small-town life is hurled inside-out as he finds himself in the midst of four criminals—three of them dead by Jim’s own bullets and one wounded, willing to offer a large reward in exchange for help. Faced with the challenge of balancing his kind heart with a desire to protect his own life, Jim finds himself on a trip to retrieve a truckload of stolen Mafia cash near the Las Vegas strip, never more than a few minutes away from mobsters who’d like nothing more than to see him dead. Even if Jim and his partner-in-crime escape with the money, will his conservative neighbors provide sanctuary for their local Samaritan? Will he live in fear of Mafia revenge for the rest of his life? The Samaritan’s Pistol is set to reinvent the Western-based genre, weaving a classic tale that is reminiscent of writing-greats Dean Koontz, Mark Twain, and Louis L’Amour. Bishop’s powerful prose is reflected by his rugged characters, and yet, Bishop’s characters, just like his writing, possess a soft, human side that will leave readers tantalized. With a fast-paced plot full of mobsters and cowboys, this novel is poised to resonate with fans of every genre and influence and put the Western U.S. back on the fictional map. ERIC BISHOP is known to his friends and family as an “author version of Clint Eastwood.” As the owner of a successful marketing firm, Bishop spends most of his time on his Utah ranch writing with the music of his adolescence bouncing off the walls. 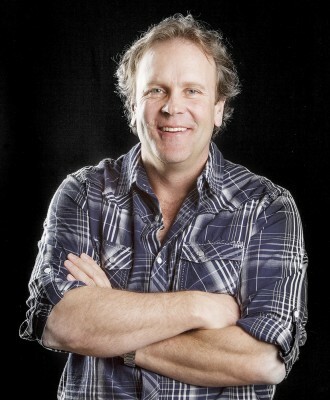 When he’s not writing, Bishop enjoys spending time with his wife and four lovely daughters at his home in Nibley, Utah. Unlike Jim, Bishop hasn’t had any run-ins with the Mafia. Yet.